A very tasty green juice to boost your health and happiness. Yay! Chop up the fruit and veg, so it fits nicely in your juicer (preferably a cold-press variety). Push the fruit and veg through the juicer. Pour the juice into a glass. 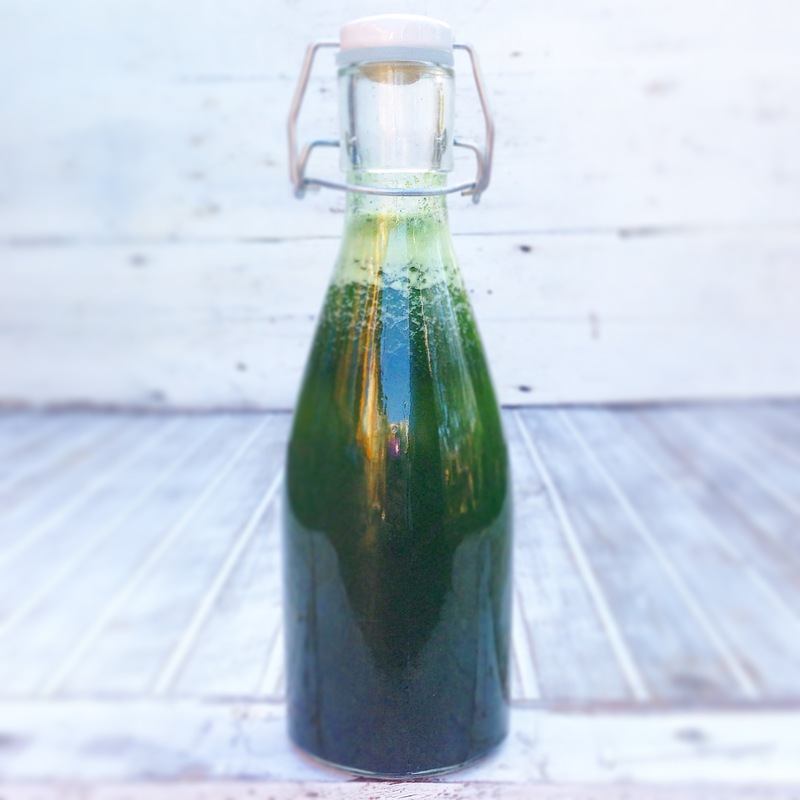 If using spirulina, stir it briskly into the juice. Top tip: Green juices taste even better when they’re cold. 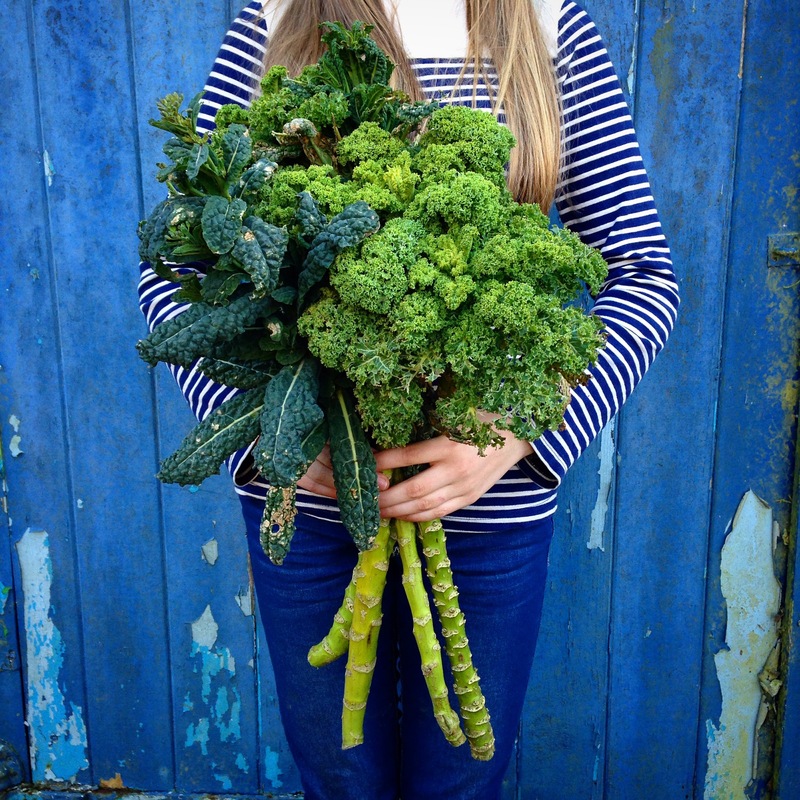 Harvest and juice your winter greens straight away or add some ice. What a fab photo. I feel healthier just looking at it!! Ready for a kick start and it looks nice and easy. Good job for tomorrow. that’s an impressive bunch! i’ve only ever had green smoothies, not ventured to a green juice yet!